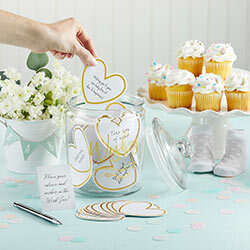 Well wishes and words of affirmation will flow freely at your beautiful wedding, baby shower graduation and more. 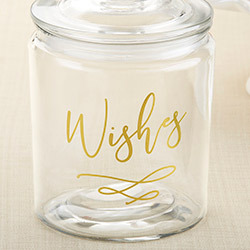 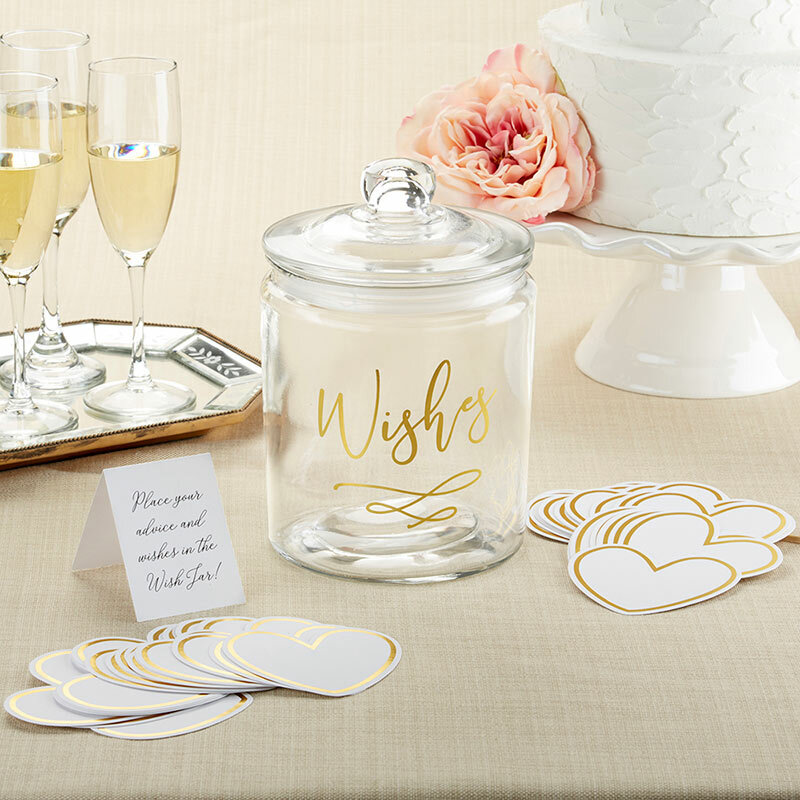 Why not capture them in a way that you'll be able to look back on them time and time again with Kate Aspen's Wish Jar with Heart Shaped Cards? 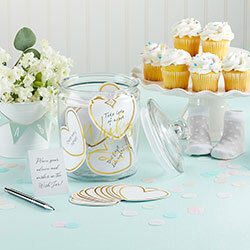 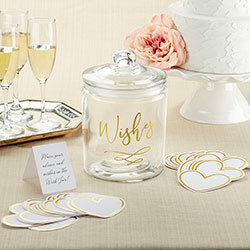 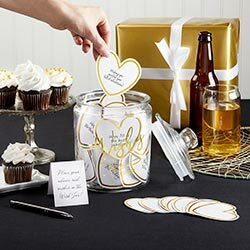 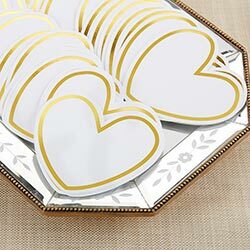 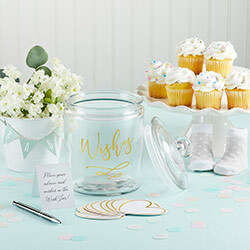 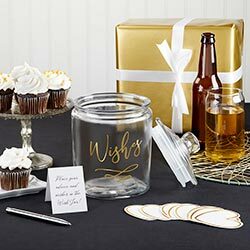 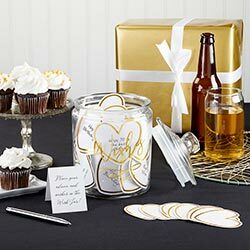 Guests can use the included heart-shaped cards to write sweet notes, and then place them in the glass wish jar to serve as a memento of your special day. 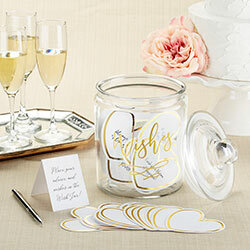 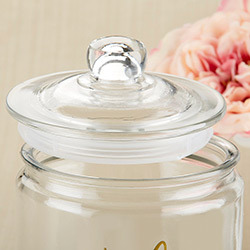 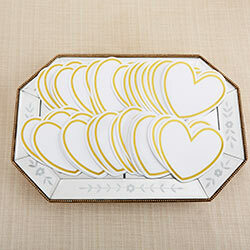 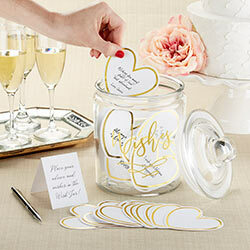 Set comes with one tent card, a clear jar with lid and 50 white heart-shaped cardstock cards with gold foil border.